I’ve been feeling creatively stuck lately and wanted to use the coming new moon in Aries (April 15 & 16) to initiate a plan that would help me get my groove back. So I turned to Facebook and asked people to share some new moon words or quotes that could be added to a casting sheet. The contributions were off the charts and make for what I feel to be a very useful casting sheet. The following is inspired by their collective generosity and wisdom. Thank you, everyone for your words and magic. Let’s do this again for the full moon! Print the included casting sheet, or draw 11 circles to match what you see on this sheet. Cast a hand full of charms over the sheet. Another option is to randomly assign one to 3 charms to each position. Watch where they land, how they interact and always look for a possible theme to reveal itself. Trust what you see and try to go with your initial hit. It’s usually right. This casting sheet isn’t limited to casting items. Cards work too! 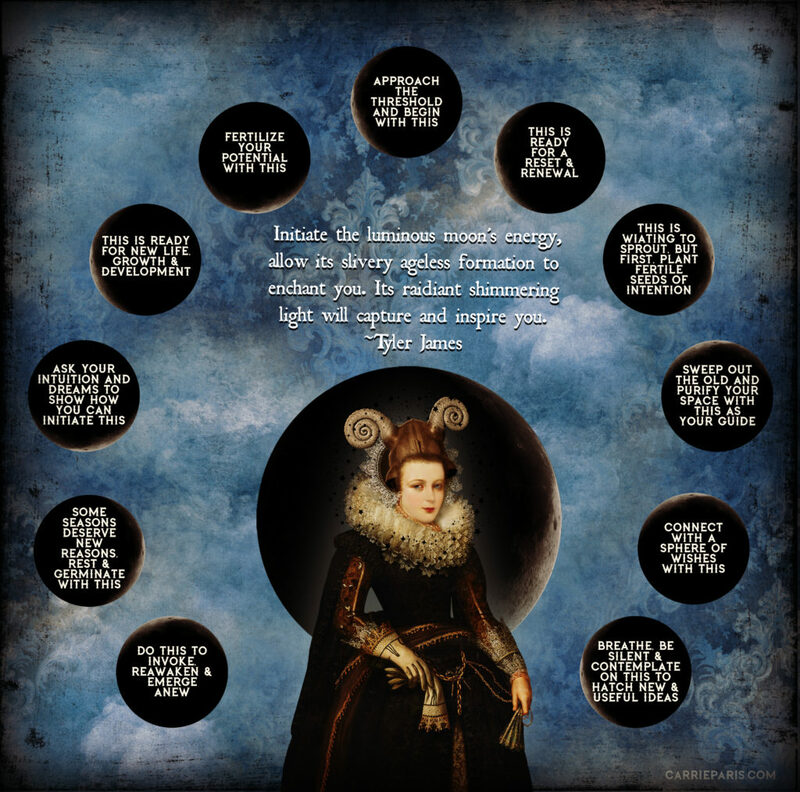 Pull a card for each position and when all the cards are on the table, look for a new moon theme to emerge. 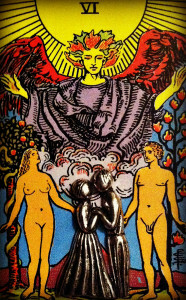 As always, happy new moon and may your future follow your highest wishes. but the moon knows all my secrets. In North America on the morning of February 26, 1979, day turned into night, birds stopped singing and nocturnal animals anxiously stirred. What caused this strange behavior? A total solar eclipse, which on August 21, 2017 will happen again. This eclipse is being touted as the Great American Eclipse as it will visibly move across a narrow path of land stretching from the Oregon Coast to South Carolina’s coast with the maximum duration point taking place near Hopkinsville, Kentucky. It’s hard to ignore the excited esoteric chatter surrounding this eclipse and while most of it is useful, a lot of it just feels overwhelming and fatal. 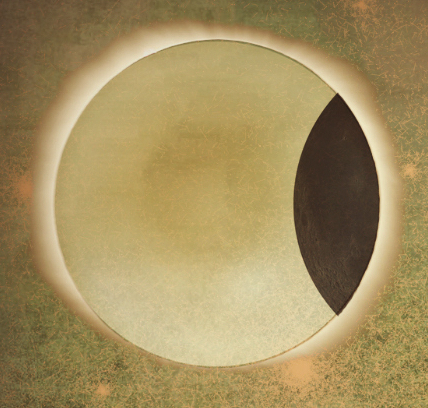 Personally I view total eclipses as opportunities to reboot and clear shadow patterns in order to shed new light on what I’m ready to fully engage with and see. For this divination I’m choosing casting as my go-to means though any divination system will do. 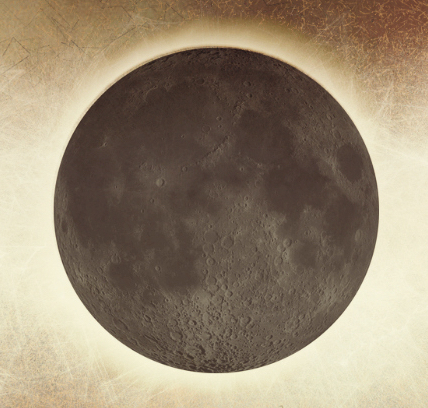 A total solar eclipse can be viewed in five phases and existing within each phase is an opportunity to see what might be hiding in the shadowy actions that prevent us from fully showing up. The word totality is key here as it reminds us to expose what we’re ready to totally look at and change. 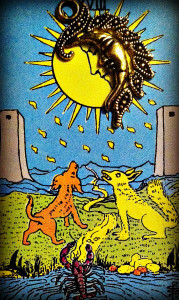 For this divination I recommend randomly selecting one to three charms (cards work too) for each of the five positions. In addition, use the following petition and questions to guide the way. The goal is to make contact with a shadow pattern, expose where it might be hiding or eating away at your life, and then reboot a life that’s no longer aligning with said pattern’s agenda. While useful, it isn’t necessary to print the provided casting sheet. You can make your own by creating a space with five casting positions. If this is your first time to visit my site, welcome! 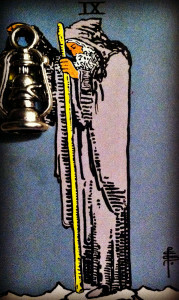 Please detour here if you wish to learn more about casting sheets and the art of casting with the Magpie Oracle. The majority of my posts present casting opportunities, however they are not limited to my products. 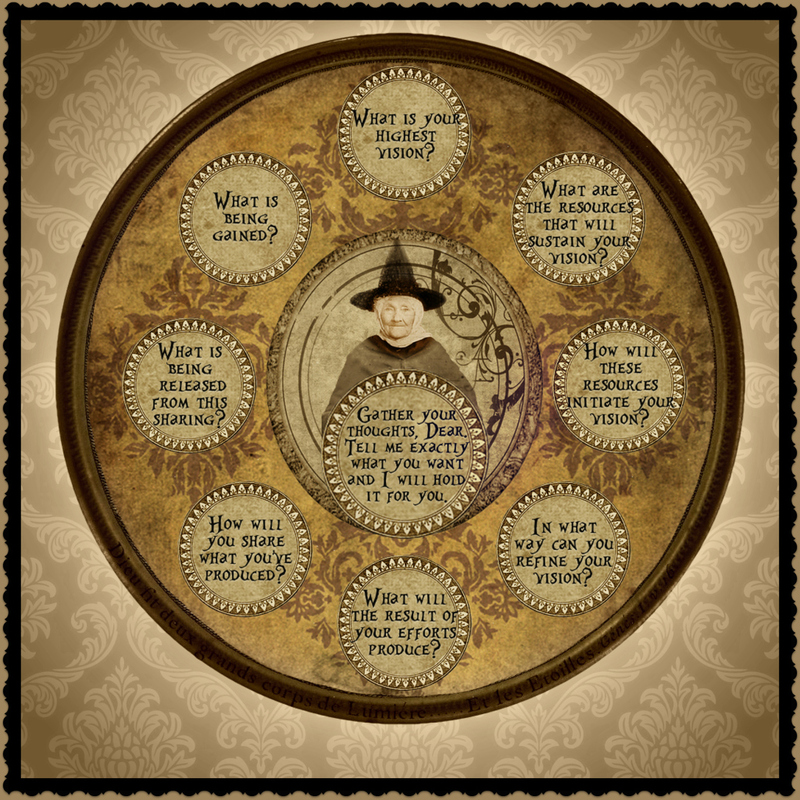 With a little creativity, just about any divination system will work. And now, back to casting. Before getting started, Eclipse2017.org is an excellent resource for safely viewing this, and future eclipses. 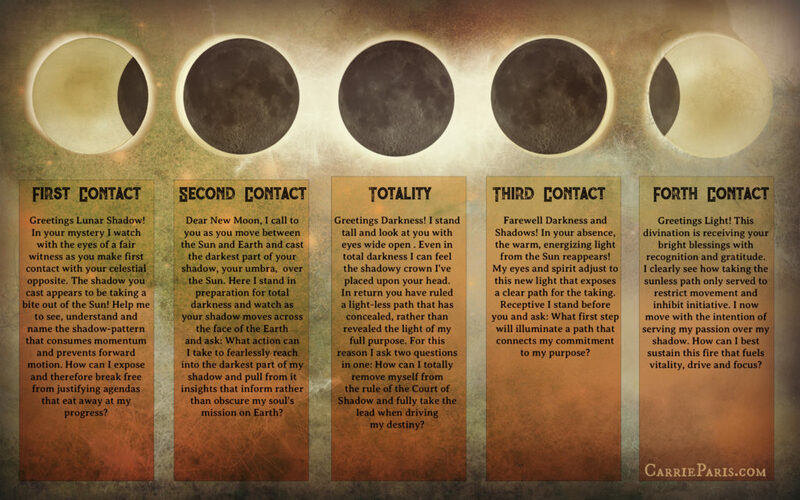 The site also offers the following descriptions for the five phases of the eclipse which inspired the petition and questions for this divination. As always, feel free to customize the casting sheets to fit your needs. May they serve your reboot well. The Moon starts becoming visible over the Sun’s disk. The Sun looks as if a bite has been taken from it. Greetings Lunar Shadow! In your mystery I watch with the eyes of a fair witness as you make first contact with your celestial opposite. The shadow you cast appears to be taking a bite out of the Sun! Help me to see, understand and name the shadow-pattern that consumes momentum and prevents forward motion. How can I expose and therefore break free from justifying agendas that eat away at my progress? The entire disk of the Sun is covered by the Moon. Observers in the path of the Moon’s umbra may be able to see Baily’s beads and the diamond ring effect, just before totality. What action can I take to fearlessly reach into the darkest part of my shadow and pull from it insights that inform rather than obscure my soul’s mission on Earth? The Moon completely covers the disk of the Sun. Only the Sun’s corona is visible. Latin for crown, the corona is an aura of plasma that surrounds the Sun. This is the most dramatic stage of a total solar eclipse. At this time, the sky goes dark, temperatures can fall, and birds and animals often go quiet. How can I totally remove myself from the rule of the Court of Shadow and fully take the lead when driving my destiny? The Moon starts moving away, and the Sun reappears. What first step will illuminate a path that connects my commitment to my purpose? The Moon stops overlapping the Sun’s disk. The eclipse ends at this stage in this location. Greetings Light! 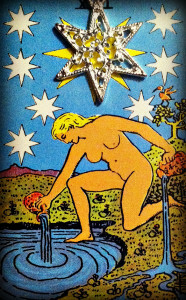 This divination is receiving your bright blessings with recognition and gratitude. I clearly see how taking the sunless path only serves to restrict movement and inhibit initiative. I now move with the intention of serving my passion over my shadow. How can I best sustain this fire that fuels vitality, drive and focus? 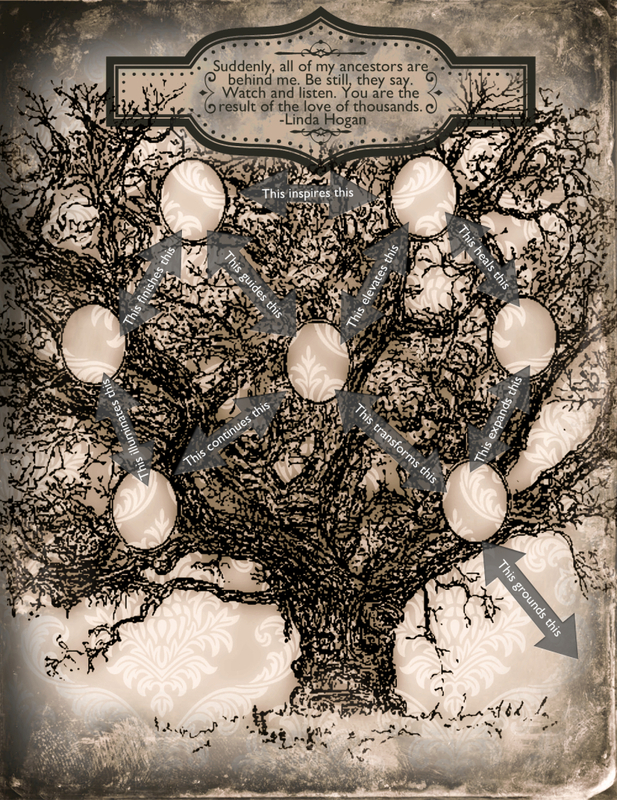 Once you’ve finished divining, and if possible, keep your reading out and check in with it as needed. A good way to keep your reading alive is by taking a photo of it and save the image as a screen saver for one or all of your devices. 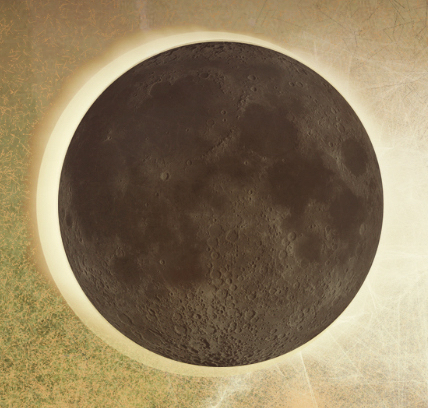 Depending on where you live, the next eclipse that falls on February 10 or 11 is a good time to revisit your divination to see if you have in fact followed through, or need to give your reading a little more time and attention. Continue nurturing your desired outcome by divining with future moon phases and eclipses until you feel you’ve accomplished a reboot. Click here for a lunar eclipse spread. 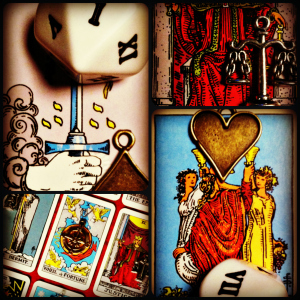 Need a Lenormand deck? I’ve made two free printable decks here and here. Magpie Oracles can be found here. Spring is in the air and thanks to a wet winter my yard is blooming with giant snapdragons, California poppies, foxgloves and more. 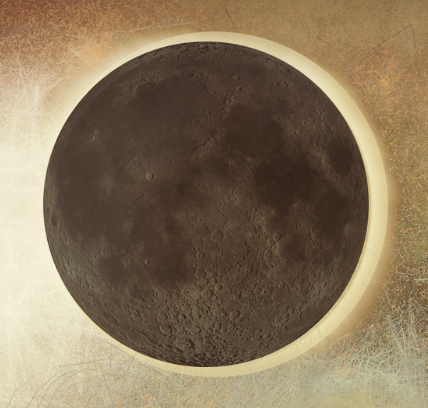 This flourishing show mirrors May’s full moon that’s often called the Flowering Moon. It also gives way to this month’s casting sheet that borrows inspiration from floriography, or the Language of Flowers which is a way of communicating through the use, gifting and arrangement of flowers and plants. While symbolic meaning has been assigned to flowers for thousands of years, floriography gained popularity with Victorian England as a way for a private Victorian society to voice their feelings without having a word pass their lips. This coded dialogue is still in use and has given rise to many a flower arrangement that profess feelings ranging from passionate love to overwhelming heartbreak. 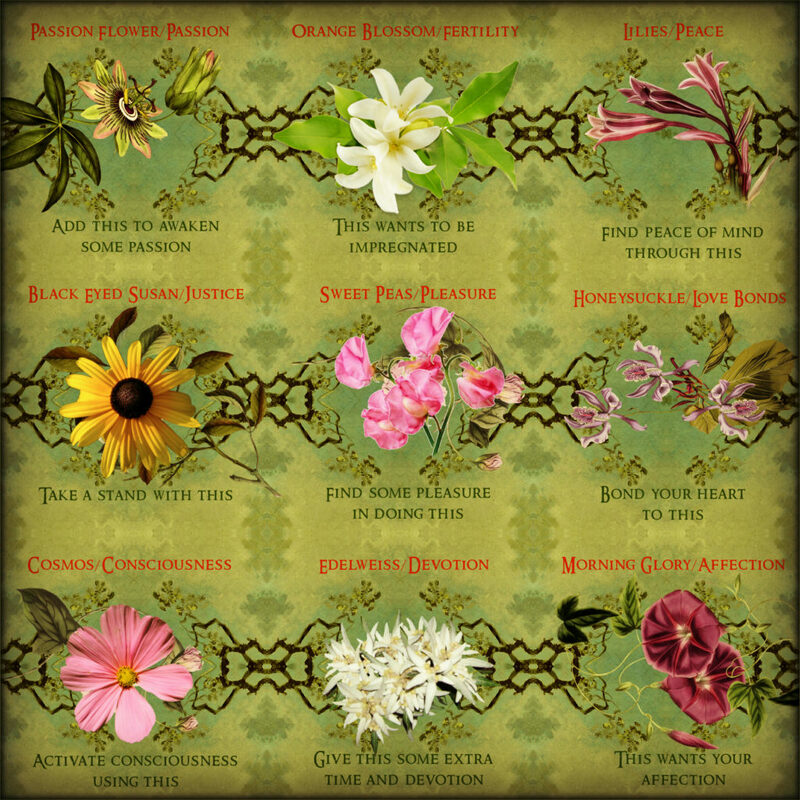 The following casting sheet incorporates some of the more popular and obscure flower symbols found in a variety of floriographic dictionaries. Each flower covers a topic I hope will bloom an insightful conversation between you and your charms. Begin by printing out the included casting sheet. For this casting I recommend you randomly select from a charm kit (cards work too!) and assign one to each of the nine position. 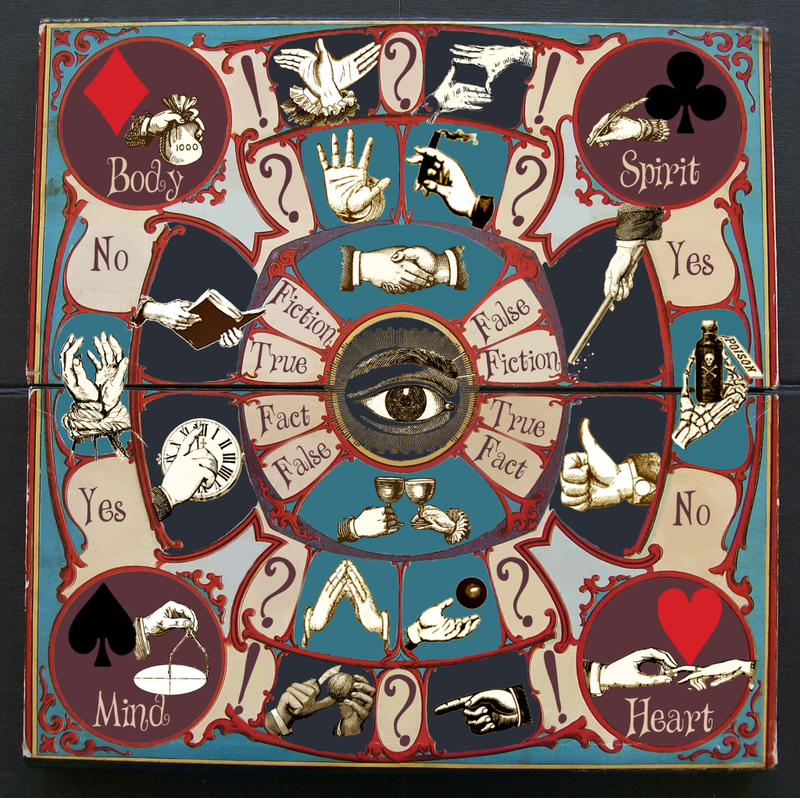 Magpie Oracle Lenormand charms can be found here, the Keepsake Box here and the latest Seer Charms here. You can also cast your charms directly over the sheet and watch where they land. Do you notice a cluster of charms gathering in one area? This usually indicates an area that’s charged and so requires extra attention. For those “blank” areas where a charm doesn’t land on a position, I usually view as a non issue and so it’s nothing you need to worry about. Keep your casting simple and use your intuition by going with what you feel most drawn to. Remember, your way is likely to be the best way. This title inspired the included image, which is one of many I’ve been creating for an oracle deck that features the movement of heavenly bodies. If you enjoy moon divination (and who doesn’t? 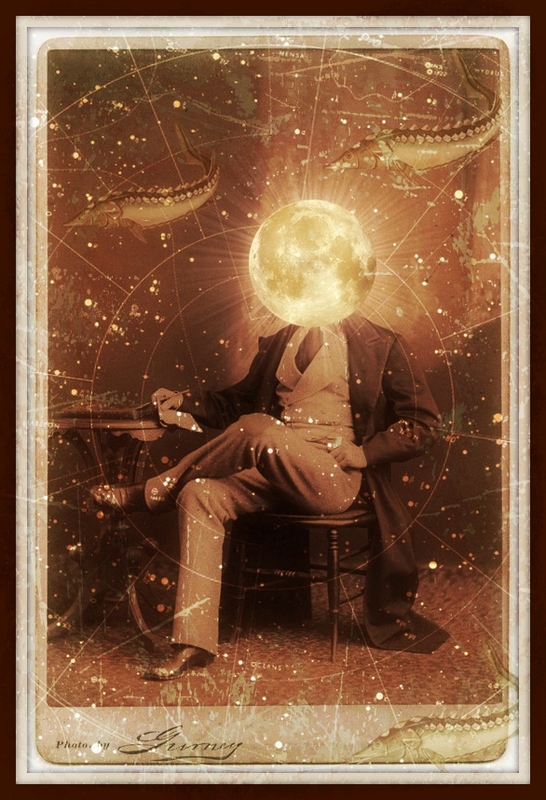 ), check out this post on casting by the light of the moon. This is also a super moon so cast a big and wide net while setting your intention. As always, may your future follow your highest wishes. Calling all poets, writers and diviners! 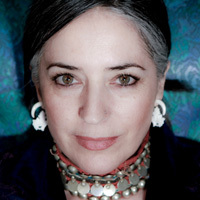 April is National Poetry Month and diviner-poet, Tabitha Dial and I have joined forces to bring you a casting sheet that gives a kick-start to the creative within. 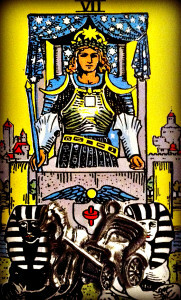 Simply gather your oracle and take a moment to calm your mind and prepare to explore your creativity. 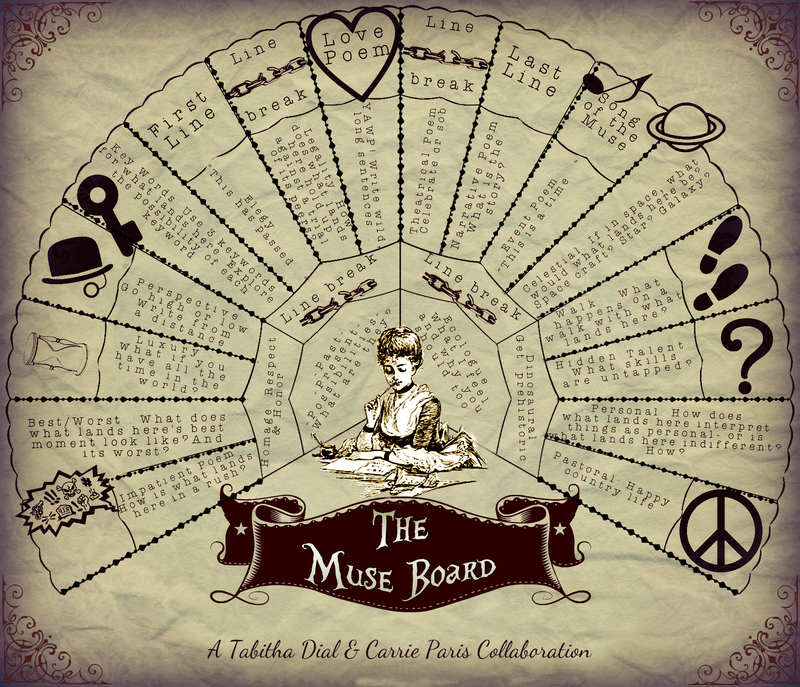 Cast your charms, stones, runes or bones onto The Muse Board and follow the prompt under the first piece that catches your eye. If there are too many, reduce the number to one-three and try again. 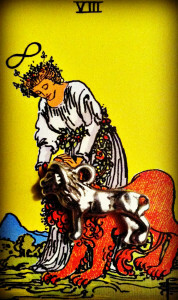 For example, if the lion, who represents the Strength tarot card in the Tarot Talismans kit lands in the “Celestial” spot, The Muse Board beckons you to play with the idea of a lion in space. Perhaps you’ll want to write a poem or song of the constellation for the sign Leo, or the concept of a lion in an astronaut’s suit tickles your fancy. Write a brief list of ideas if one doesn’t excite you immediately. Don’t edit. Don’t over-think. Just jot and scribble, because no one has to see your list or your first draft of anything! When you’re ready to sink into the project The Muse Board offers, again, work without reservation. Flow. If you write, generate words, words, words. Allow yourself to edit later. First Line — Start your project or poem with an image inspired by what landed in/near that spot. 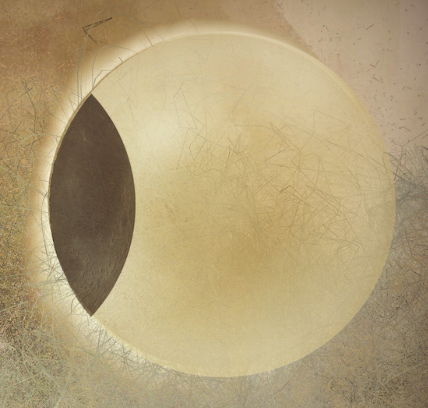 Last Line — End your project or poem with an image inspired by what landed in/near that spot. Line Break — Consider taking a rest. Or make extra space in your poem. Or think what it means to “break” what landed in/near that spot. Have dice? Use one or two while consulting The Muse Board. One number can indicate how many sentences, or paragraphs you’ll write. The second one could represent the number of words per line for a poem, or the number of characters in your story. Apply dice expectations for your medium, and get rolling. Any type of die will do ya! 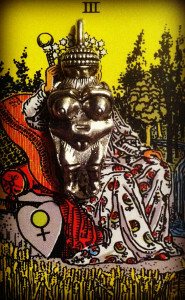 Have fun, diviner and check out Tabitha Dial and all of her wonderful offerings here. 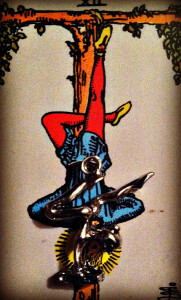 The Tarot Speaks. A Free Interactive Spread. 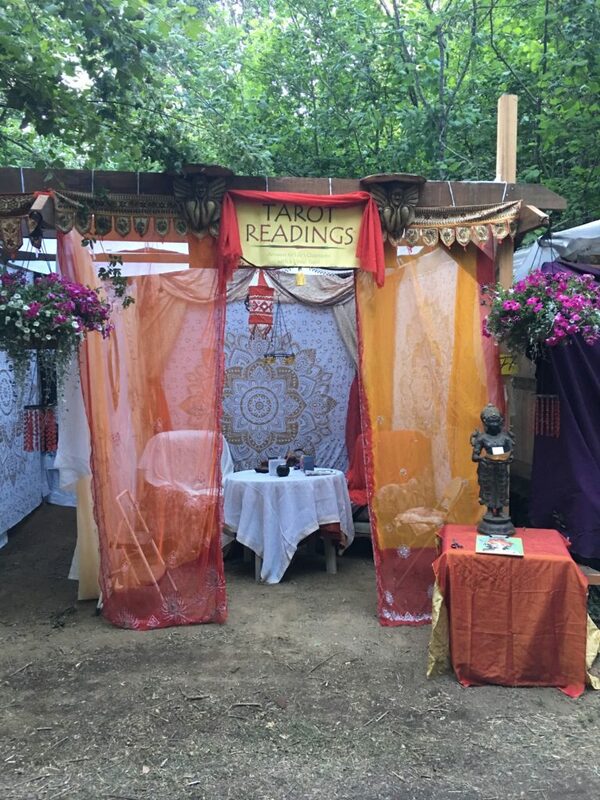 I’ve often wondered what it would be like to turn the reading table on the tarot, to have the cards read me rather than it be the other way around. 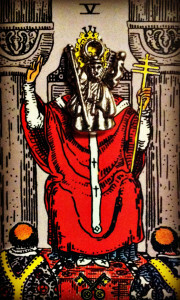 Would the outcome be different if I sat at the Magician’s table or considered my situation from the Hermit’s mountaintop? 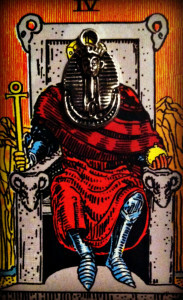 I feel it would and in view of this I wanted to create an interactive spread that puts the tarot in the reader’s chair. Click and print your casting sheet. Cast your charms over the sheet. 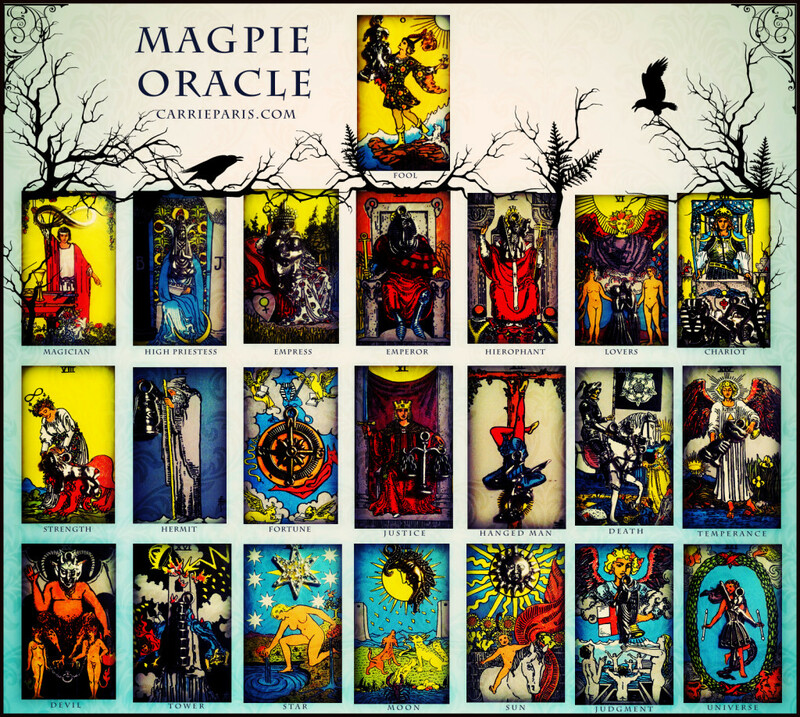 Click on the Major Arcana images below this casting sheet to listen to your divination. If this is your first time to my site, welcome! I recommend you visit here before proceeding. 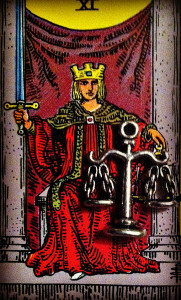 In doing so you will be directed to some useful tips on casting with any of the Magpie Oracle or Lenormand products. What action can I take that will help me better understand __________? What’s the best action for me to take concerning ____________? What can I expect if I ______________? What can I expect if I don’t (as sometimes not doing is an action in itself) _____________? After casting, you might want to write each charm’s title directly onto the casting sheet. This way you can keep referring to your spread after you’ve put your charms away. 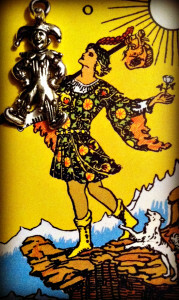 Once all of your charms are noted and in place, look for any card-to-charm pairings. 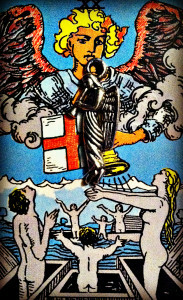 An example of this would be when the Fool charm lands in the position of the Fool card on your sheet. For many this match can indicate a charged position. If you discover identical pairings take a moment to decide how you want to apply the double meaning to your current situation. What is it pointing at or suggesting you pay close attention to? In the event when card and charm are not a match, experiment with creating a dialogue between the two. The same can be applied to more than one charm landing in one position as well as reading several charms in rows, diagonals, corners, etc. Take some extra time to see how well the charms are getting along in their new environment. 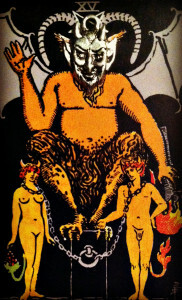 For example, what kind of advice do you think the Emperor would offer to a visiting Devil or vice versa? What is the actionable result that’s being presented to me and how will I fulfill it? 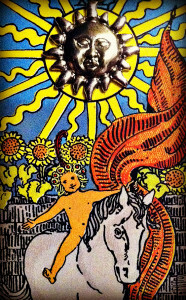 How will I become a vehicle for my divination and how can I express it in the world? 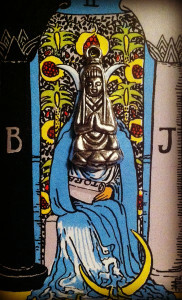 This divination wants you to be creative and follow your intuition’s lead. In doing so you are building self-trust while strengthening your oracular muscle. As always, stay divine and may the future follow your highest wishes. 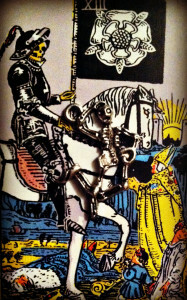 Still looking for a little more meaning to apply to your charms? 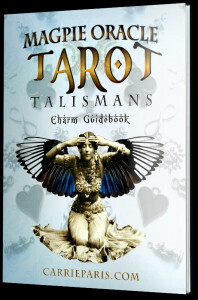 Click here for a free Magpie Oracle Charm Guidebook. If you’ve landed on this page chances are you were redirected here to gather a few tips on casting with the Magpie Oracle. Whether you’re an advanced diviner, or just learning to use the Magpie Oracle I, II or III, the following information first encourages you to follow your intuition. In doing so you will divine from a place of self-trust. With that said, it is important to prepare a few things before casting. Along with selecting a casting sheet or spread, take some time to form your questions. A good rule to follow is, the clearer the question, the clearer the answer. 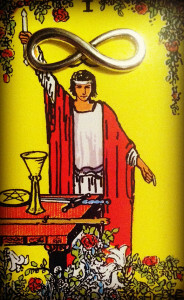 It also strengthens the divination to have a solid vision of your desired outcome. What is the end result that you want to achieve from your reading? 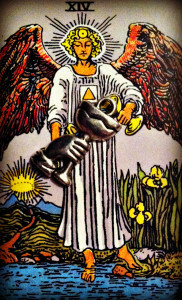 Nourish your divination by keeping an eye on that particular prize. Once your questions are organized and you have a good view of the outcome you want to create, the future will conspire to work in tandem with your plan by inspiring clear solutions rather than obscure outcomes. There are several ways to cast charms and I always say that your way is best. Many like to hold their charms a few inches above the center of their casting sheet before releasing them, while others prefer to pepper or shake their charms over their sheet. There is also the neat and tidy route of randomly hand selecting charms and assigning one to each position on your sheet. Be adventurous, curious, inventive and find your casting style. After casting, take note of where your charms land. 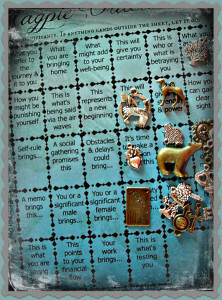 Depending on the casting sheet, each charm will likely build an overall focus or theme for you to consider. And while your casting may not always address your opening question, I suggest you reconsider what the divination is presenting to you before disregarding it. There will always be something that is trying to get your attention. Sometimes just naming the charm or symbol breaks the ice and gets the ball rolling. Start by just describing the literal aspect of the charm. 2. What does it do and what is its purpose? Describe how the piece can be used in life and in your situation. 3. What does it stand for or remind you of? In other words, can you see any familiar tie-ins between the symbol and your situation? 4. What is the take away? 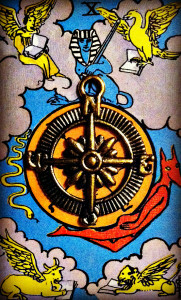 How can the symbol offer clarity or insight to your situation and how can you apply it to your life? 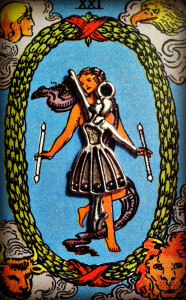 The aim of divination is not always about forecasting the future, it also puts us in a position to receive a message for which line of action to take. 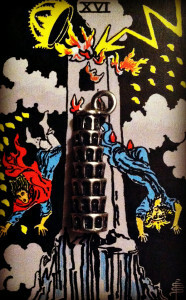 Your divination isn’t over until your outcome is realized. To keep it alive I recommend you either take a photo of your spread or keep it out where you can revisit it daily. Happy casting and may your future follow your highest wishes.